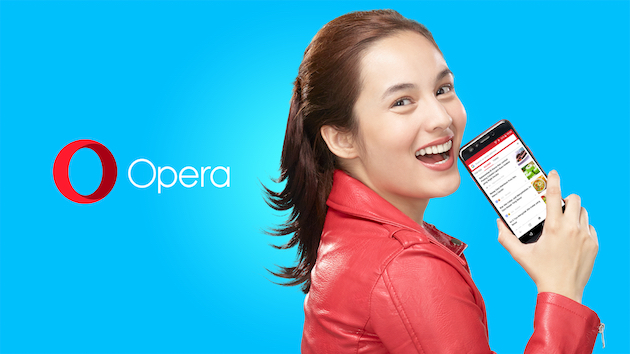 Opera Software has appointed Chelsea Islan, one of the most popular and talented Indonesian artists, as its brand ambassador in Indonesia. Representing the new generation of the Opera Mini browser, she will be featured in Opera’s first Indonesian TV commercial, digital campaigns as well as a range of collaborative projects throughout 2018. This announcement also signals Indonesia’s importance to Opera’s global user growth. For more than two decades, Opera has been empowering people, especially youths, in every corner of the world by connecting them to the Internet. The appointment of a brand ambassador in Indonesia is an extension of this effort, while also acknowledging the importance of Indonesian users of Opera. Opera believes that there is no better person to take on this role than Chelsea Islan. According to the Indonesian Internet Service Provider Association (APJII) in 2016, there are 132.7 million Internet users in Indonesia, or approximately 51.8 percent of the total Indonesian population. The report also informed that about 70 percent of Indonesian Internet users use a mobile device to access the Internet. Currently, Indonesia is home of the third-largest population of Opera Mini users in the world. The new generation of the Opera Mini browser includes an AI-powered newsfeed engine, which was first tested and introduced in Indonesia before being delivered to other markets. In addition to having Chelsea Islan appear in TV commercials to introduce a faster and more affordable Internet experience through the Opera Mini browser, Opera will also be working with the Youth of Indonesia (YOI) organization, where Chelsea Islan currently serves as President. YOI’s mission is to mold young Indonesians through education to become agents of change. The purpose of this collaboration is to extend the reach of digital empowerment in Indonesia. Details of the partnership and dates will be announced soon.